In researching my book (Surviving the Death Railway: A POW’s Memoirs and Letters from Home) I have read many accounts of the FAR East in WWII – first, second and often third-hand ones. Truth is an elusive commodity. Diaries contain the most truth, but their vision is necessarily narrow. Survivor accounts have the same problem, plus the interaction of memory and the layers history has added. Helpful sons and daughters can introduce bias, historians are more objective – but they weren’t there. Here are five contrasting publications that I have read recently. Each contains a fragment of the picture, each has a different sort of truth. 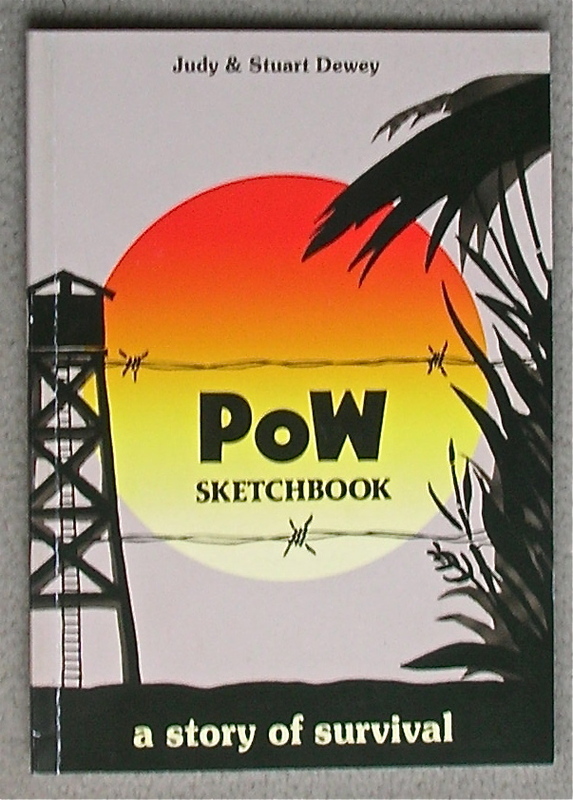 First a little slip of a book, POW Sketchbook: a story of survival by Judy and Stuart Dewey (Pie Powder Press). Judy and Stewart tell the story of the artist William Wilder, using his diary entries, his memories and his excellent drawings. You get a true picture of the daily grind: ‘Late dinner at night in dark. Up at 7 am, breakfast in the dark, just rice and sugar… carrying planks and heavy wood over rough rocks. Frightfully hot. … . It is really hell. Little drink, sun the bug-bear… .’ Or brief entries as he lay in hospital, ‘8 deaths in the last 24 hours.’ The following day, ’12 fellows died yesterday.’ He drew to survive, but his work was often taken by his captors or destroyed. 70 drawings survived. To have saved these and his diary was an act of extreme courage. 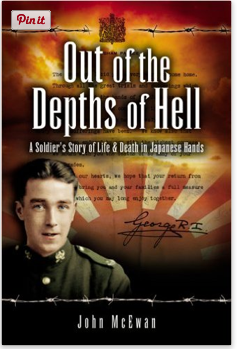 of Hell: A Soldiers’s Story of Life and Death in Japanese Hands by John McEwan (Pen & Sword – my publishers). This is a soldier’s account, lively, tough and full of the harrowing and detailed memories of the years spent, in his case, mostly in the grimmest slavery in the copper mines of Taiwan. His feelings about his mates, his captors and his views on life and religion make this extremely, though painfully, readable. The truth here is a personal one told through the long lens of memory. This next one, The Burma Railway: The Original War Drawings of Japanese POW Jack Chalker (Mercer Books 2007) is one of the most beautifully designed books I have ever handled, I want to weep and admire at the same time. It contains over a 100 full colour illustrations. The calibre and scope of these is astonishing. Every part of the POW experience is there. They are beautiful and painful. He depicts individuals undergoing sadistic punishments and hundreds of men at work, he shows wards of sick men and, when he worked with the famous surgeon Weary Dunlop, precise depictions of ulcers that ate into the bone. Jack tell his story between the drawings. All the above are personal accounts with one main viewpoint; they do not claim to be literature or even research. They all contains inaccuracies. 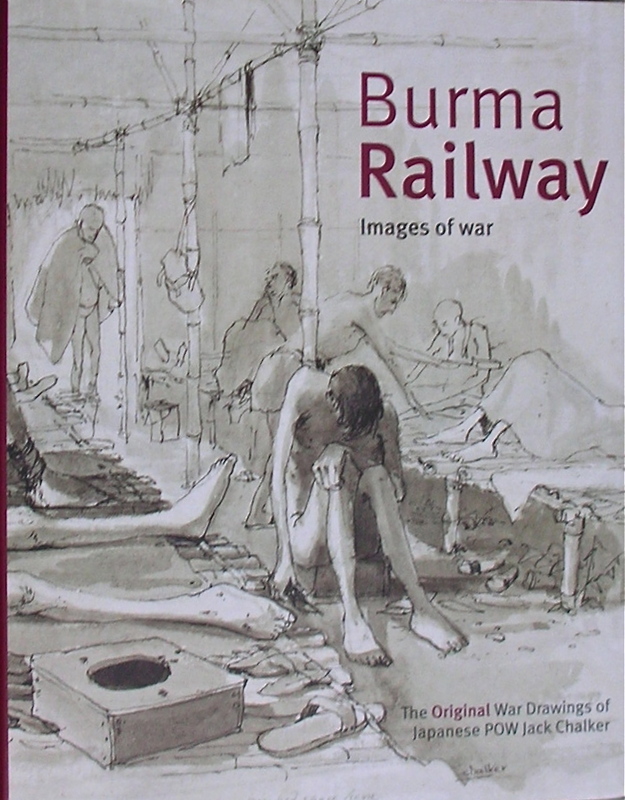 My fourth is another small volume The Death Railway: A Brief History of The Thailand-Burma Railway by Rod Beattie (Thailand Burma Railway Centre Co., Ltd). This is modern, practical, and factual. Rod is the great researcher of the railway, an Australian who has walked, recorded and uncovered every inch of the tracks. He and Terry Manttan run the Centre at Kanchanaburi in Thailand and know more about the railway and the individuals who built her than anyone else alive. In his book Rod assembles essential facts and corrects many railway myths. 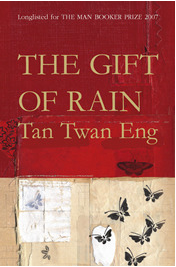 My last book is odd in this context – and I haven’t yet finished it – The Gift of Rain, Tan Twan Eng. It is high quality literature and a work of fiction. Set in Penang fifty years after the war, the story within it runs from 1939 to 1945. It is as multicultural at its setting – British, Chinese, Malay, Japanese and Indian characters cross the stage. Only in this mesmerising, page-turning book have I found a sense of how the war affected individuals of all kinds in that part of the world, and why cultures with opposing philosophies that had lived harmoniously until then, both helped and brutalised each other. You get a glimpse of why civilisation cracked up and again later was able to rebuild. My Far East POW book is now in the publisher’s hands and I am haunted by all the books I have not yet read, the archives and museums I have not visited and all the threads I have failed to follow up. What troubles me is how little of the truth can be found in any one account. Maybe fiction can weave a truer tale. This entry was posted in POWs, Reading, Writing notes and tagged Burma Railway, Far, Far East POW art, Far East Prisoners of War, Jack Chalker, John McEwan, Judy and Stewart Dewey, Mercer Books, Out of the Depths of Hell, Pen and Sword, Pie Powder Press, POW Sketchbook, Rod Beattie, Surviving the Death Railway, Tan Twan Eng, TBRC, Terry Manttan, Thailand-Burma Railway Centre, The Death Railway A Brief History, The Gift of Rain, William Wilder by hilarycustancegreen. Bookmark the permalink. Absolutely, Hilary. Literature can reveal some great human truths. Give Garden of Evening Mists a try, too. Also by Tan Twen Eng. I’m planning to, I read this one first as my father was born in Penang. His parents were in the colonial service, his uncles in the rubber business, so all of this background really meant a lot to me. The men who were there and told their stories through drawings or words were astonishingly brave. I can’t help wondering how it’s affected you, immersing yourself in these awful, if sometimes heartwarming, tales. The job of recording events and writing about history is fraught with difficulties and I take my hat of to you for attempting it. I wonder if you might have become saturated if you’d read those other books and followed up additional threads. Sometimes less is more, and you can only keep things fresh if you hold back a little. In any case, I’m sure your book will be a wonderful read and I’m looking forward to more news on its publication. Thank you for your supportive thoughts and words. You are right, some of the reading has been hard, but I have learned (perhaps it’s a sad reflection on humanity) to distance myself to some extent. My writing in the book is only a small part; I am an editor. The difficulty has been to align all the letters and memoirs into a chronological whole and try and edit out any inaccuracies where I find them. My ethical and practical dilemma has been how much I should try and find the families of the 68 men whose lives are touched on in the story. Thank you for this. As they say, myths are lies that tell the truth. Maybe in fiction too. I like that idea of the role of myths. Certainly fiction gains a distance which is obviously missing in personal accounts. Each book is a door into the past world, each with its own piece of truth. Outstanding post, Hilary!! Thanks, I’ll remember that. Like all research, it is turning over one more leaf in a forest, but it is worth doing. And I’m always surprised where it takes me…..
You give excellent indications of the nature of each of these books. Your last paragraph makes for sad reading. I was reminded of a line in a poem, ‘Crying to the end I have not finished.’ But I have no doubt you’ve done the best you possibly can. Thank you, I have tried, but I could have gone on another ten years. All my careers have carried this hazard as they are project work, and so must have an ending and peer review in order to start the next project. Still, I do find this wrapping up phase the most difficult. Your being troubled about what you did not do reminds me of that terrible letdown from the anticipation, rehearsal, total immersion and performance “high” that one can experience as part of creative work. The past is past. What we have of it is in the present, so it’s not really the past at all; it is always filtered through present individual minds…even its “facts” are observed from individual points of view. I’ve stopped using the noun “The Truth” in favor of the adjective “True.” I can sense that things are more or less true, but to capture THE TRUTH is impossible…. it’s only an abstraction we ourselves create. I am absotively, posilutely sure your book is true, Hilary, though it is not THE truth. And this is the end of my homily. I’m really looking forward to reading your work. A good and sane homily, thanks. I see project work as being in five distinct phases (creative, engineering, labour, completion and peer review) and all my careers have followed this pattern. The completion phase has been my nemesis because (and you will recognise this) the emergent work never quite reaches the vision in that ‘first, fine, careless rapture’. Luckily my book is mostly others’ work as I am the editor (a first experience), and I have faith in their writing. Looks like a wonderful list. My husband enjoys these types of books, so you’ve given me some Christmas gift ideas. Thank you! Best of luck with yours as it goes through its publishing stages. Thanks. There are so many books in this field and the writing is uneven, to say the least, though always heartfelt. Tried I have, but reading war books I can’t. Karl May’s books about Indians and Winnetoe mixed with Jules Verne’s adventures is what sustained me when still a child after WW2. I do remember bits of the war and it wasn’t something that children should have experienced. I am pleased though that books are written about the horror ‘lest we forget’. The best with your books Hilary. I understand, and it’s not something I ever planned to do. I remember taking all my father’s books and every time I looked at them I put off reading them for another month. There are videos I still have not watched and our old machine has now broken. The first two months of reading were the worst, after that I sort of knew what to expect, though there is always something shocking and new in each book. Fortunately my father’s memoirs are mostly about ingenious ways of surviving, and the letters, are actually a testament to how much humans do care about each other, in spite of the ghastly wars they fight. A terrific post, Hilary. It reminds me of my mother telling us when we were children that there are different truths: “your truth, my truth, and the real truth”. I look forward to your book. Your comment about all the things you left out reminds me that when I was producing TV programs, I always felt there was something I left out, despite all the awards and critical acclaim. We have to let go of that perfectionist streak! Congrats on completing your manuscript. Your mother puts it very clearly. You are very kind. Research moves so slowly (and could have gone on forever), but once the book was accepted, everything moved faster than I was expecting. I imagine in TV it moved very fast ALL the time. Isn’t it! I am so looking forward to The Garden of Evening Mists – what a writer! What a resource you are building up, Hilary! And good luck for your own book. Ah, that is a tricky point, our house is already lined with books, but yes, each one adds another perspective. Thanks for the support.